Daniel Bodansky is a, Senior Advisor at the Center for Climate and Energy Solutions (C2ES) and a Regents’ Professor of Law in the Sandra Day O’Connor College of Law. He is also an affiliate faculty member with the Center for Law, Science and Innovation, and the Julie Ann Wrigley Global Institute of Sustainability’s School of Sustainability at Arizona State University (ASU). Mr. Bodansky is a leading authority on international environmental law generally, and global climate change law in particular. 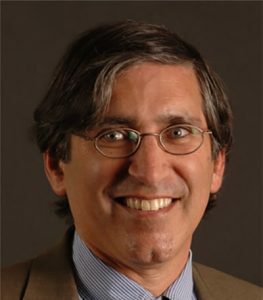 Prior to his arrival at ASU in 2010, Mr. Bodansky was the associate dean for faculty development and Emily and Ernest Woodruff Chair in International Law at the University of Georgia School of Law. He was an assistant professor at the University of Washington School of Law from 1989-1994, and a professor from 1994-2002, and has been an adjunct faculty member at Georgetown University and George Washington University law schools. Mr. Bodansky was an attorney-advisor at the U.S. Department of State from 1985-1989 and served as the Department’s Climate Change Coordinator from 1999-2001. He began working with C2ES in 2001. Since then, he has written numerous policy papers for C2ES and was an adviser to both the Pocantico Dialogue in 2004-2005 and the Toward 2015 Dialogue in 2014-2015. Mr. Bodansky has served on the Board of Editors of the American Journal of International Law, is the U.S.-nominated arbitrator under the Antarctic Environmental Protocol, and is a member of the Council on Foreign Relations. Awards include an International Affairs Fellowship from the Council of Foreign Relations, a Pew Faculty Fellowship in International Affairs, and a Jean Monnet Fellowship from the European University Institute. Legal Note: Could a Future President Reverse US Approval of the Paris Agreement? The Pew Center released a report outlining options for measurement, reporting, and verification of countries’ actions in a post-2012 global climate agreement at a side event held during the international climate negotiations in Bonn, Germany.